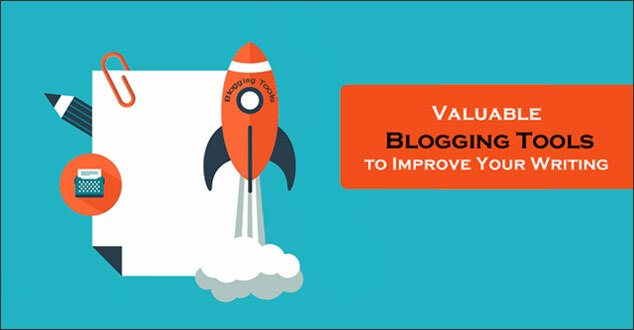 Are you looking for blogging tools to help improve your writing? Writing is something that is difficult to master. This is especially true with all the grammar rules language has. From subject-verb agreement to run-on sentences, there are so many grammatical rules to follow. These rules are difficult to keep track of. Plus, our average word processors sometimes miss them. Grammarly steps up to the plate and detects up to 10 times more mistakes. You can use Grammarly to help. It has been called the world’s most accurate grammar checker. Grammarly scans your text for over 250 grammar rules proper usage. This includes everything from subject-verb agreement to pronoun errors and everything between. Grammarly contextual spell checks your writing. This tool allows you to avoid embarrassing misspelled or misplaced mistakes. For example, Grammarly checks for proper use of different forms of words. Grammarly improves your vocabulary by offering word choice suggestions. This can help take your writing to the next level. Use your words to make an impact and improve your readability with Grammarly. Pick the plan that is the best for you and your business. Currently, Grammarly is having a special promo and has all their plans for 20% off. Also, if you are not satisfied with Grammarly in one week, you can get your money back. Originally $37.95, but with the 20% discount, you can use Grammarly for only $29.95 per month. The Quarterly Plan was originally $24.98 per month. With the 20% discount reduces the price to $19.98 per month. This payment is billed as one payment of $59.95. For year-long access to Grammarly, all you have to pay is $14.58. With yet with the 20% discount its $11.66 per month. This payment is billed as one payment of $139.95. Hemingway Editor is another writing tool you can use to help with your writing. This tool takes editing to the next level. Write and edit within the app or paste something you would like to edit. Then begin editing. It’s all up to you. Sentences that are hard to read are highlighted in yellow. If you have a yellow sentence in your writing try to place the period sooner by making the sentence shorter. Or, you can try to split your sentence into two. Red sentences are sentences that are hard to read. This means that the sentence is confusing and that you may lose your readers. You can try to get rid of the red highlight by editing the sentence. Hemingway Editor updates in real time to show you your progress. Words that are highlighted in blue are adverbs. Hemingway suggests getting rid of them and replacing with verbs instead. This indicates a use of a passive voice. Hemingway suggests using a certain number or fewer depending on how many words you have. Choose which style you would like to view your writing in. Hemingway Editor has the ability to see what readability your writing is. Edit your writing more to get a better understanding from every reader. The Hemingway Editor offers what I am going to call a summary spot. Click on the more arrow on the right and you can learn updated numbered statistics on your writing. These statistics include paragraphs, sentences, words, characters, letters, and average reading time. If you would like to write and edit offline, you may be interested in Hemingway Editor 2. This is an app is designed to help you use the editors features offline. With just $9.99 you can buy the app for Mac OSX or for Windows to gain access to the editing tools mentioned above. Distraction free writing is something that is hard to find. With menus calling your name to click on them, you may lose your train of thought while writing. This isn’t a problem with the Draft writing tool. Draft is something I haven’t ever come in contact with before. Think of it as an advanced way to write anything. This writing could be a blog article, an email, memo, you name it all for your business or just for you. All while minimizing distractions. One of the top benefits of Draft is that you can share with your collaborators. You can an entire folder to avoid sharing links and sending emails back and forth. While collaborating with team members, you don’t have to worry. Any changes a collaborator makes on their own document are sent to you. You can accept or ignore each change made on a master copy. If you are ever writing and need someone to help edit, but don’t have anyone, you can ask a professional. You can accept or ignore any changes made by the professional within Draft. For $6, you can get 15 minutes of edit time. Or for $18 you can receive 45 minutes of editing. Plus, if you don’t like the results, you will be refunded immediately. You can make a presentation within Draft. Just by separating each slide in your Draft document with at least three hyphens. This feature is handy for when you don’t need a complex presentation. Sometimes it’s hard to write and get your full idea across when your brain is striving for perfection. This is especially true when you are trying to edit your current work. Draft has a Hemingway Mode to help with this issue. Ernest Hemingway stated, “Write drunk; edit sober.” This feature is based off the quote and helps block out the ability to edit. Once turned on, Draft will turn off your ability to delete anything, which forces you to edit later. This feature is beneficial to get all your ideas down on paper. I hope that at least one of these tools will help you become a better writer. Whether it be for your business or for yourself, I would encourage you to check these tools out. Grammarly, Hemingway Editor, and Draft can help you write better. Have you used any of these resources before? What do you think of them? I would love to hear what you have to say! Please share your thoughts in the comment section below. I am not being or is R & R Web Design LLC compensated for the reviews of Grammarly, Hemingway App or Draft. In addition, I am not, nor is R & R Web Design LLC, an affiliate in any form. What usually separate great writers from mediocre writers is the tools they use. Its no doubt that you’ll always do better if you employ the necessary and right tools for your writing. I’ve heard of Grammarly before but have never tried it. The other 2 tools you mentioned are also very useful as your post implied and I’m going to take a closer look at them as soon as possible. Thank you for stopping by, for reading Chloe’s article, and for you input. I’m glad that you found this helpful. If you do try the Hemingway App and Draft, please let us know what you think.